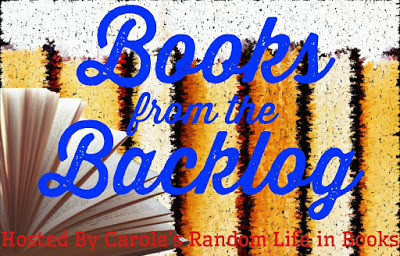 Today I'm linking up with Carole from Carole's Random Life of Books for Books from the Backlog. I really enjoy the chance to feature a book that's been hiding in the piles of books for far too long! Today's book is Too Bad to Die by Francine Matthews. Blurb: November, 1943. 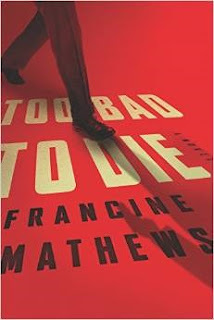 Weary of his deskbound status in the Royal Navy, intelligence officer Ian Fleming spends his spare time spinning stories in his head that are much more exciting than his own life until the critical Tehran Conference, when Winston Churchill, Franklin Roosevelt, and Josef Stalin meet to finalize the D-Day invasion. With the Big Three in one place, Fleming is tipped off that Hitler's top assassin has infiltrated the conference. Seizing his chance to play a part in a real-life action story, Fleming goes undercover to stop the Nazi killer. Why I Want to Read it: I've really enjoyed Ian Fleming's novels and know that he had a rather adventurous life so am curious to read a book with him as the main character. Ian Fleming was certainly a fascinating guy! I have never heard of this book before but it sounds like fun! I had no idea that Ian Fleming had such an exciting life. I hope you enjoy this one when you do get the chance to read it. I like the idea of Ian Fleming as a protagonist! This sounds fun. Fleming did have a rather interesting life, didn't he? He makes a good character in a fiction novel, I think.